The waves are rising and you’re far out at sea in a small red boat. Your challenge: Find an open channel to your home port before the crew declares a mutiny! 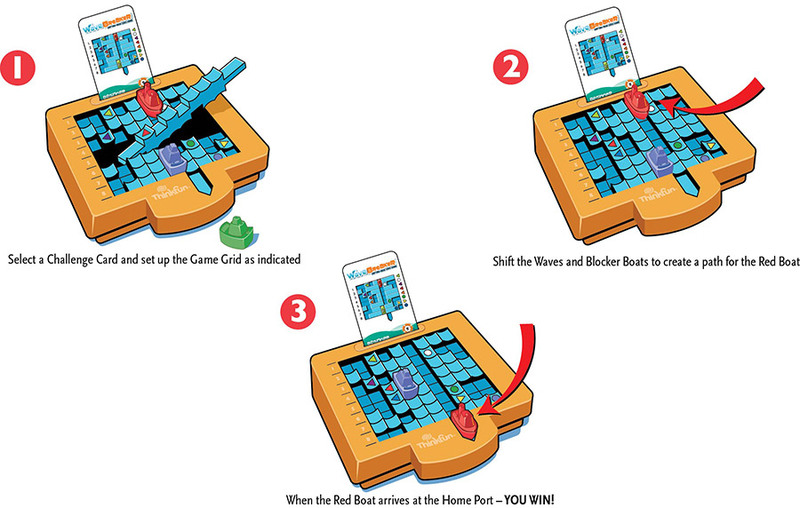 To play, arrange the boats on color-coded wave bars as instructed on a challenge card, then try to reach safe harbor through the crashing waves. Originally released in 1997 under the title Stormy Seas, Wave Breaker is part of ThinkFun’s All Star Logic Games collection.